Baby Boomer Davy's Locker: New Christmas CD soon to be released!!! New Christmas CD soon to be released!!! I have been working on a Christmas CD for a few months now, off and on, among my many other projects in this "career change" phase of my life. My first CD, "Thoughts of Home", release in July 2008 was all original instrumentals of music for relaxation and stress relief. One of its songs, "Western Sky" won the month of May 2008 for the instrumental category in the international song writers contest, "Song of the Year", making it eligible for entry into the song of the year. I'll be keeping my fingers crossed. I had to get really busy to finish production and get copyrights and publishing rights approved as this new CD has some traditional Christmas songs on it. There are also two original songs on this album. One is an instrumental winter song titled, “Snowy Mountains” and the other is a vocal and is the title of the CD, "At Christmas Time"
I have to thank my best friend, who just happens to be my wife, Anita, for all of her support of my efforts of making music "what I do"! Without her consistent love, encouragement and support, (especially working her incredibly difficult job which is stressful beyond belief on her) I would not be "Who I Am"! Thanks also to all of my friends and family who have always complimented me on my music abilities and gave me the reason to perform and keep my love for music going! 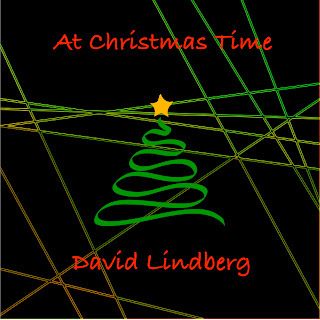 Here is a sample of "At Christmas Time". I love it!!! Congrats. I tried to buy it but the link did not work. I think you did say it's not released yet. Let me know when it is as the 2 songs I listened to, (Christmastime and Christmas Meledy) were great!